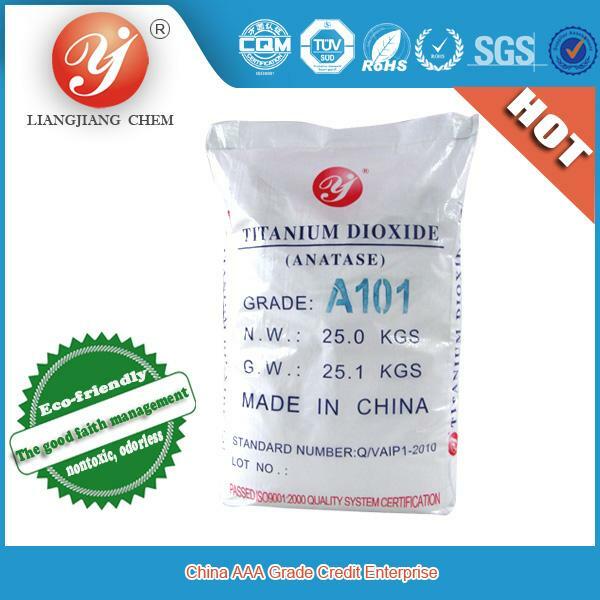 Liangjiang brand-Titanium dioxide anatase( Special for paper) , the cleaning process by sulfuric acid method. 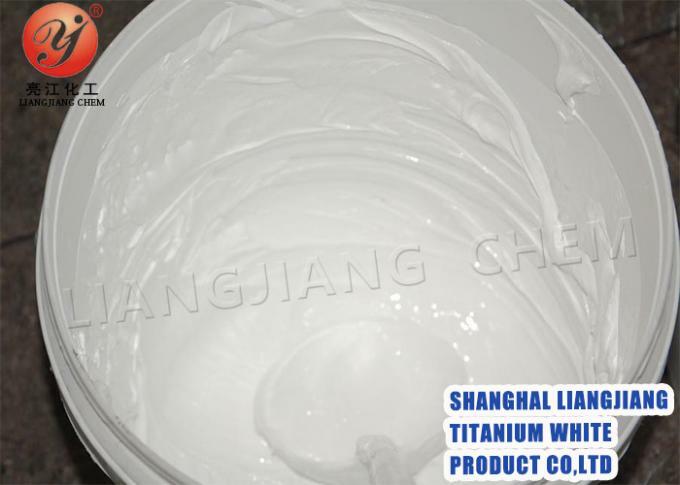 White Appearance, outstanding performance, used in the paper fillering of papermaking industry, can significantly improve the physical properties and mechanical properties of paper, increase the opacity and smoothness of paper, improve the whiteness of the paper, the elastic and glossy, prevent the penetration of printing. Fine and average particle size (D500.2-0.4 microns), loose particles (apparent density 0.3 0.4 g/cm3), , good water dispersibility, widely used for paper, cardboard. 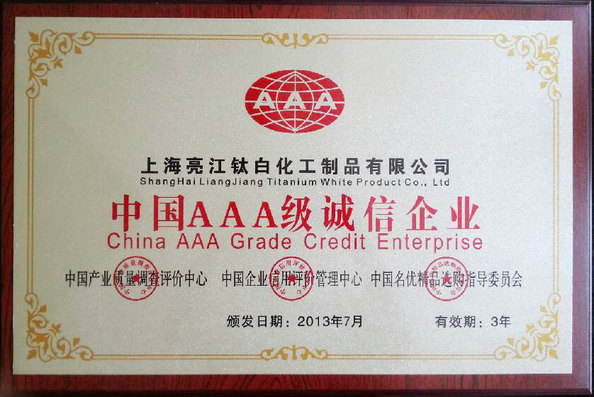 large number of exports and well received by clients. 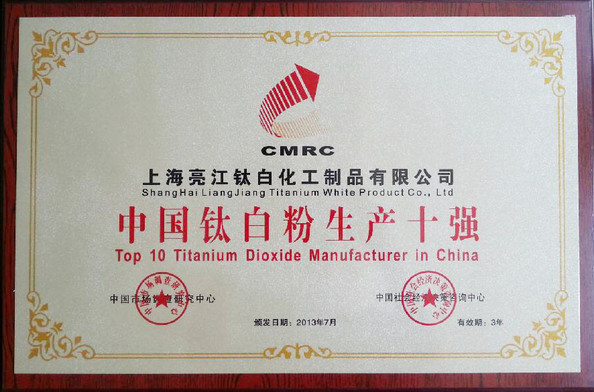 Paper is the third largest parts for titanium dioxide, As the paper filter, mainly use in high grade paper and thin paper. To join titanium dioxide in the paper can make the paper good whiteness, good gloss, high strength, thin and smooth, not penetrate when printing, light quality.Titanium dioxide for Paper generally use the titanium dioxide without the surface treatment, can have the effect of fluorescent whitening agent, increase the whiteness of paper, but laminated paper use requires the surface treatment of rutile titanium, to meet the requirements of light resistance and heat resistance. 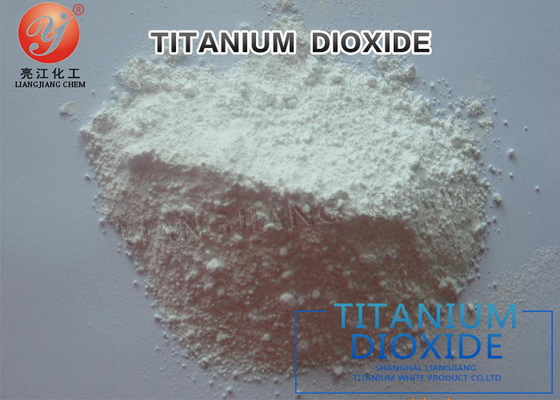 Different paper use, different type titanium dioxide, titanium dioxide rutile, good oxidation resistance good weather resistance, mainly used for decorative paper and high ash paper of weather resistance; While titanium dioxide anatase used for the low transparency and low ash paper,not high rquirement for weather resistance.Although chlorination process and sulfuric acid process can produce rutile type, but the chlorination process titanium pigment , whiteness, the red crystal type of content, especially the stability of the finished product is better than that of the sulfuric acid method, suitable for use in the decorative paper and high ash;And coinage in the paper and the low ash must be used titanium dioxide by sulfuric acid, in order to meet the requirements of opacity for two kinds of paper.